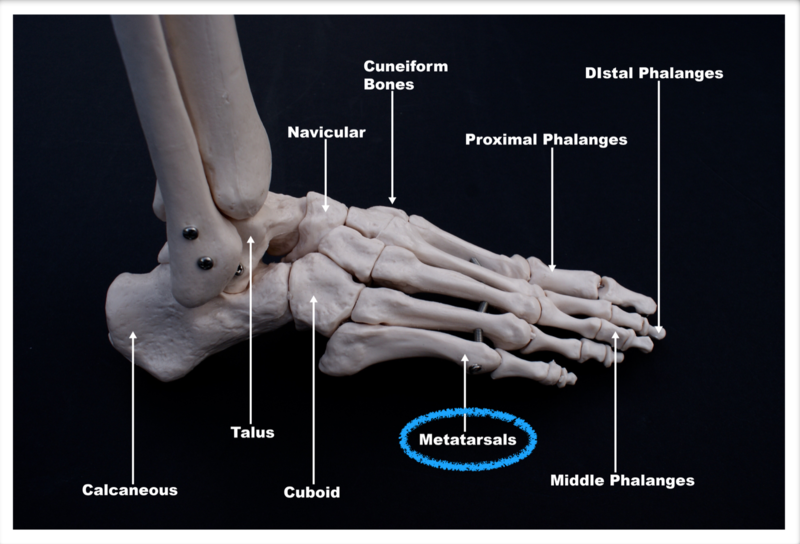 The metatarsal base is the back end of the metatarsal bone away from the ball of the foot. 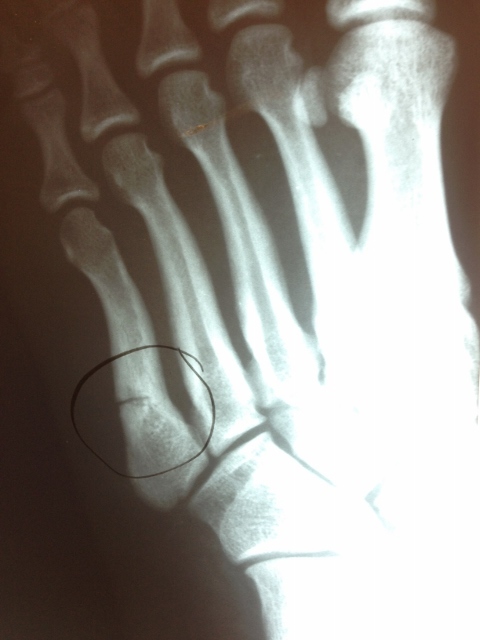 Fractures in this area can be stress related (stress fracture) or can occur from a traumatic event. 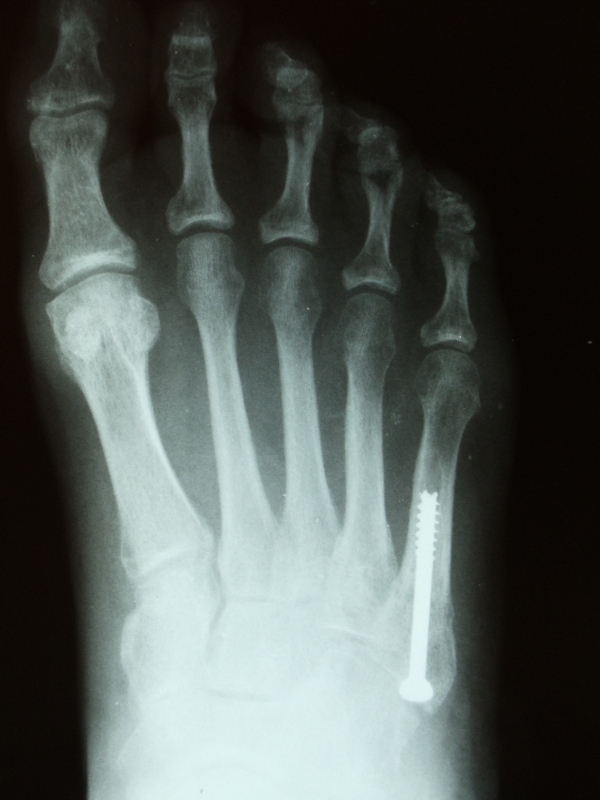 They can also be associated with Lisfranc injuries. 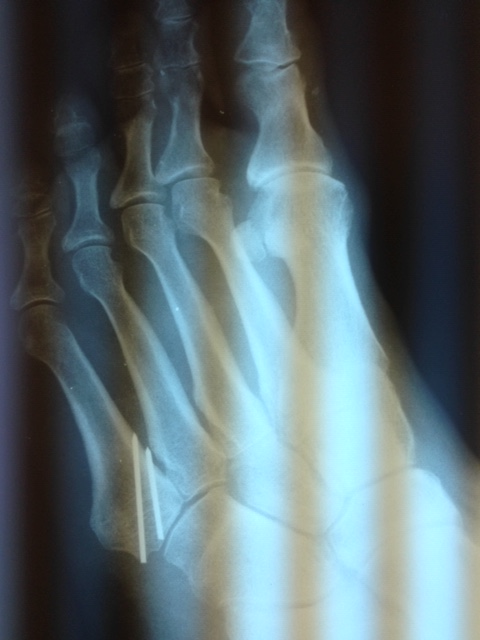 One or more of the metatarsals may be fractured at the same time. They are more common in sports activities such as football. They can also occur in dances who are unconditioned and develop stress to the base of the bone, which causes a small fracture. 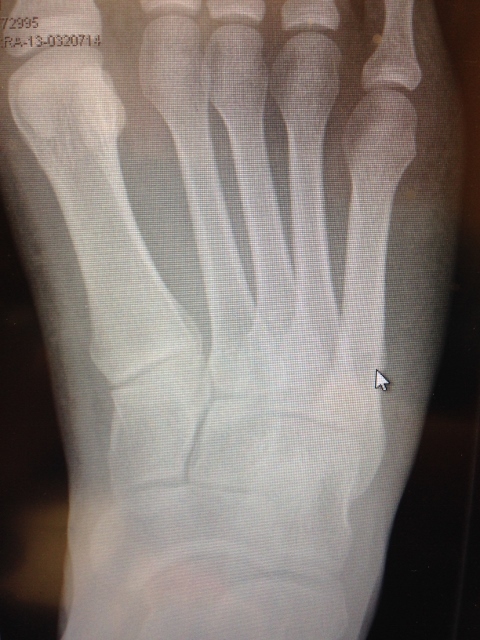 These base fractures are most often nondisplaced and can be treated conservatively with a cast or boot. 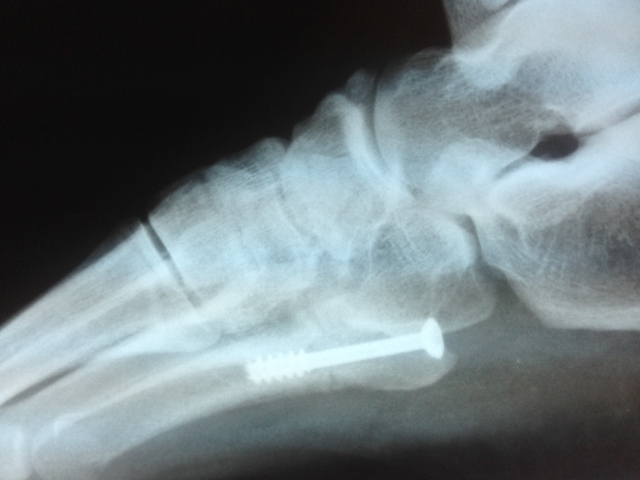 Patients are going to remain nonweightbearing until the fracture heals. 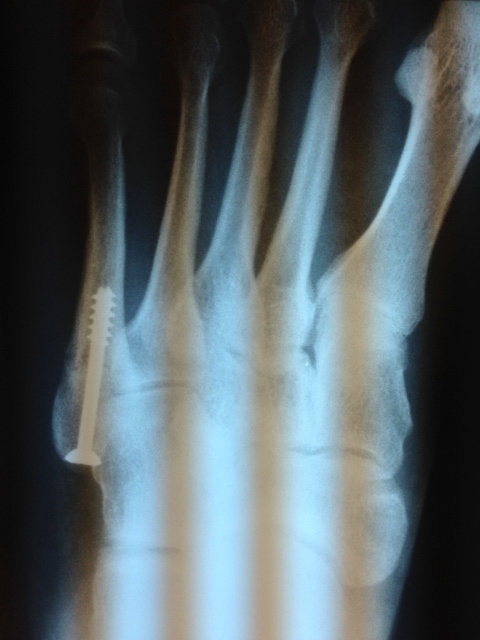 When displaced, surgery may be necessary to help realign the bone and put it in its proper position. 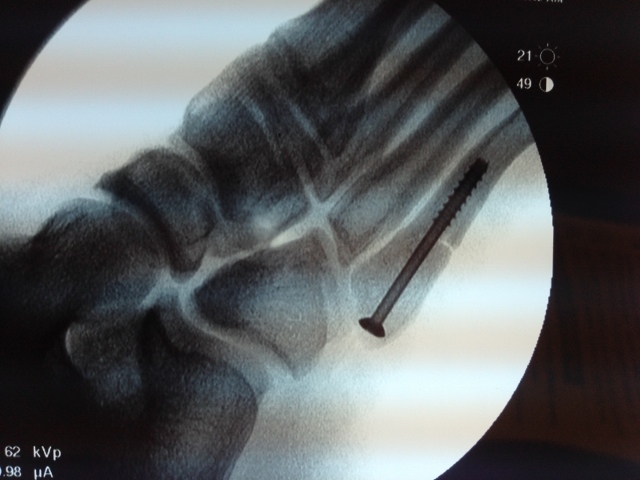 Surgery can be done with small percutaneous pins placed directly through the skin so that the fracture does not have to be open. 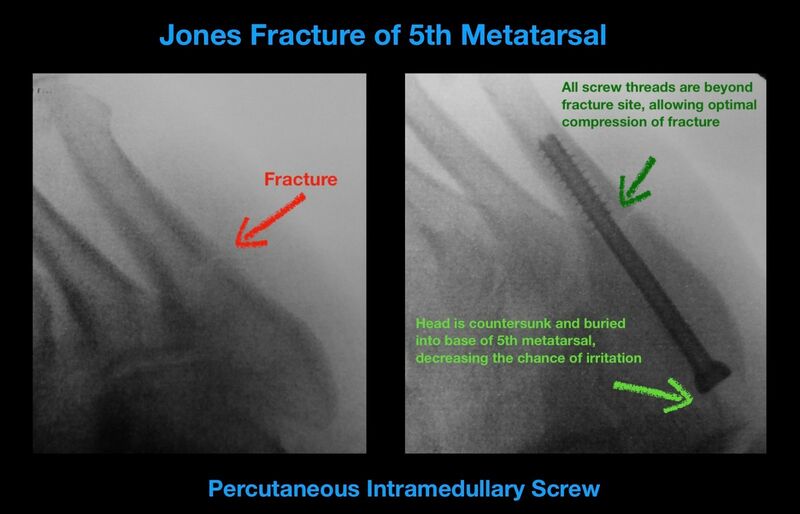 If the fractures are more moderate or severely displaced, an open reduction and internal fixation with pins, small plates and screws may be needed. 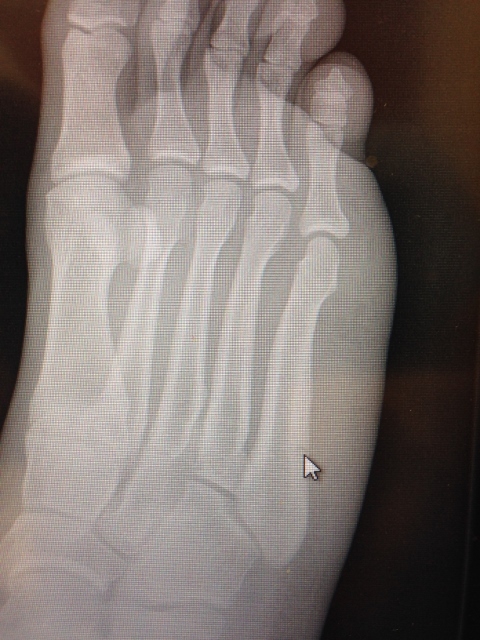 The most critical metatarsal fracture is usually the second metatarsal. 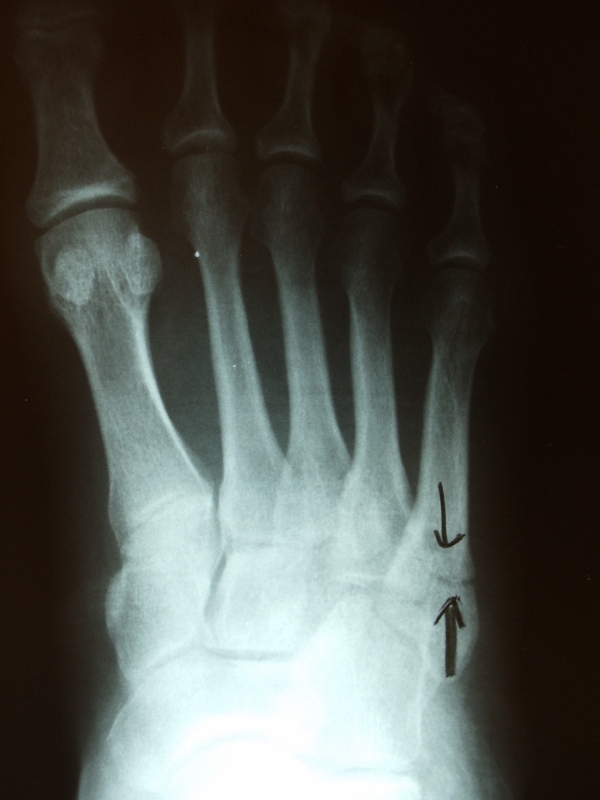 Signs and Symptoms of these fractures are usually swelling over the top of the foot and difficulty weightbearing. 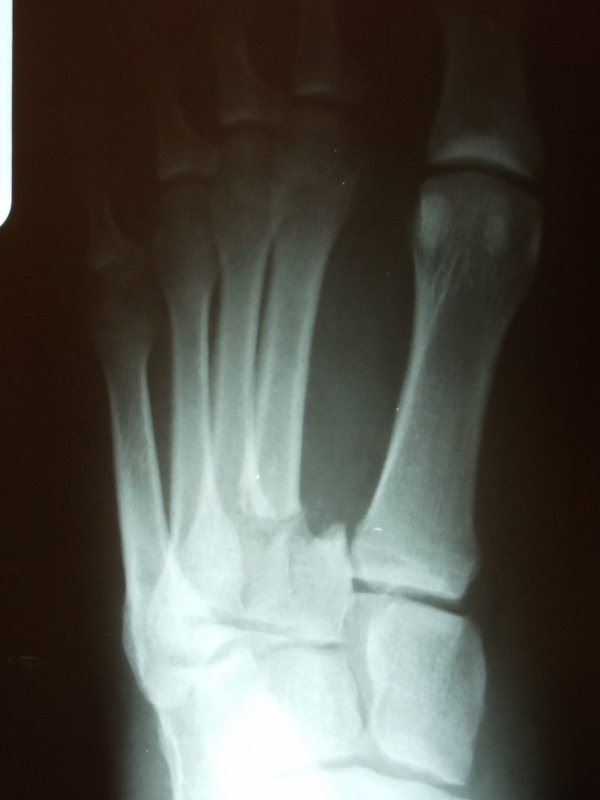 If swelling and discoloraiton extend to the arch, then multiple fractures or a Lisfranc injury may be suspected. X-rays are taken to evaluate the fracture. If the fracture extends into the joint, CT scans may be needed to fully evaluate the injury. 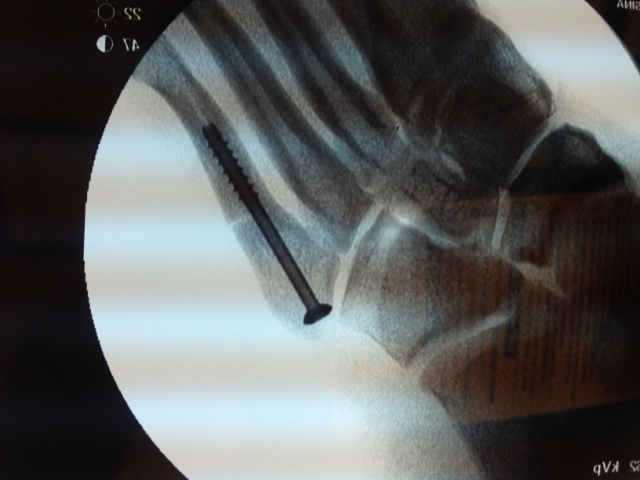 If a fracture is not obvious on an x-ray, then an MRI may be needed to evaluate the injury. 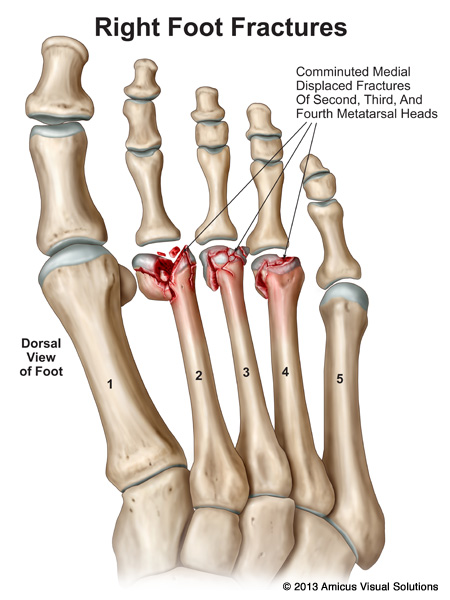 Jones fractures are fractures of the fifth metatarsal that occur in an area of the fifth metatarsal that has a poor blood supply. 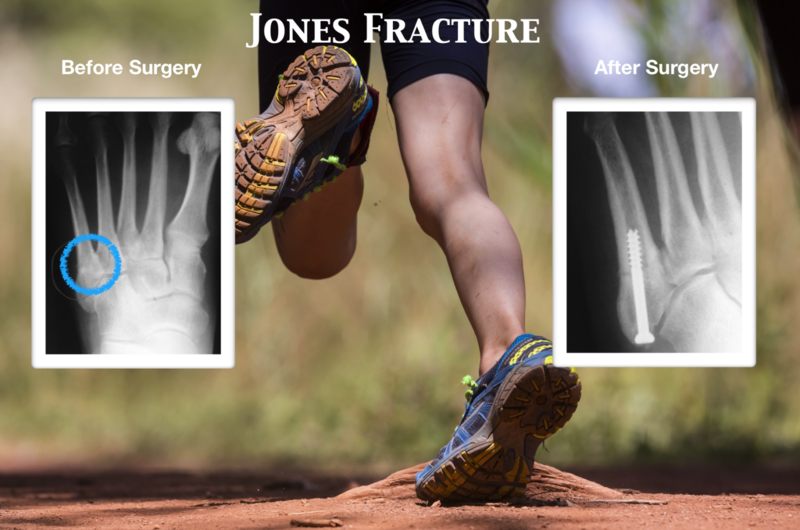 Jones fractures are more common in active people and are very common in football, basketball and soccer players. 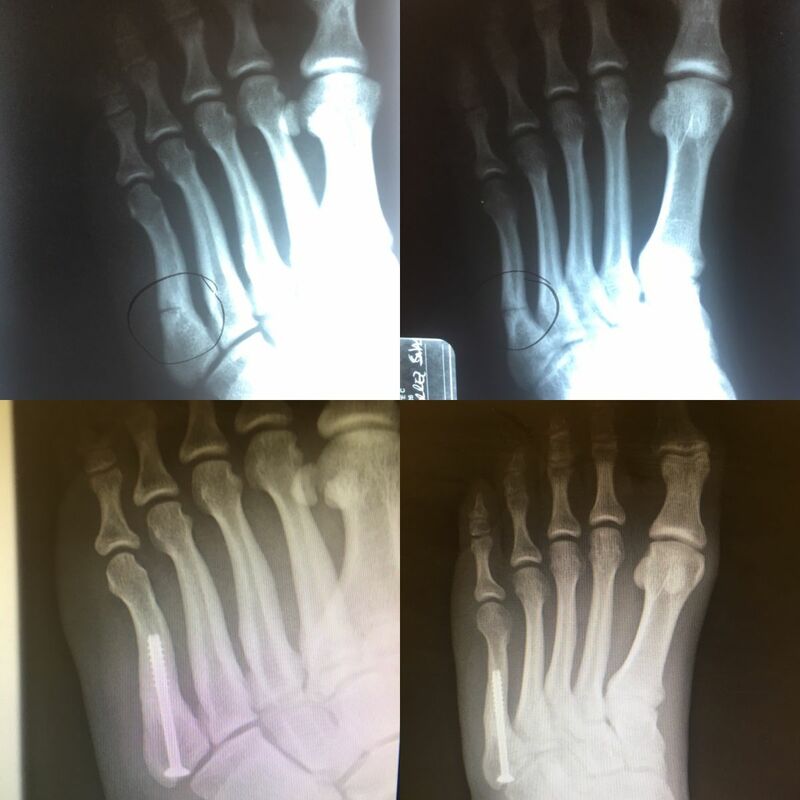 These fractures have often been described as excessive stress to the fifth metatarsal, especially with the foot pointed in a down position in which the ankle also rolls to the outside. This is also commonly seen in athletes that have a high arch foot or ones that have the front part of the foot turned in relative to the back part of the foot (met adductus). 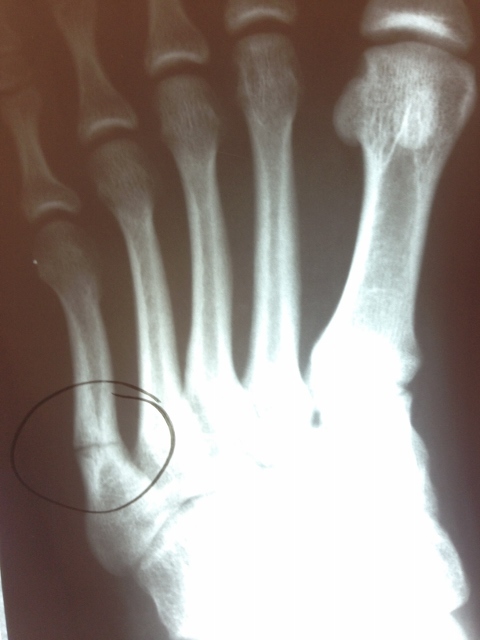 Pain in the fifth metatarsal in an athletic person should often be evaluated relatively quickly after it is felt. 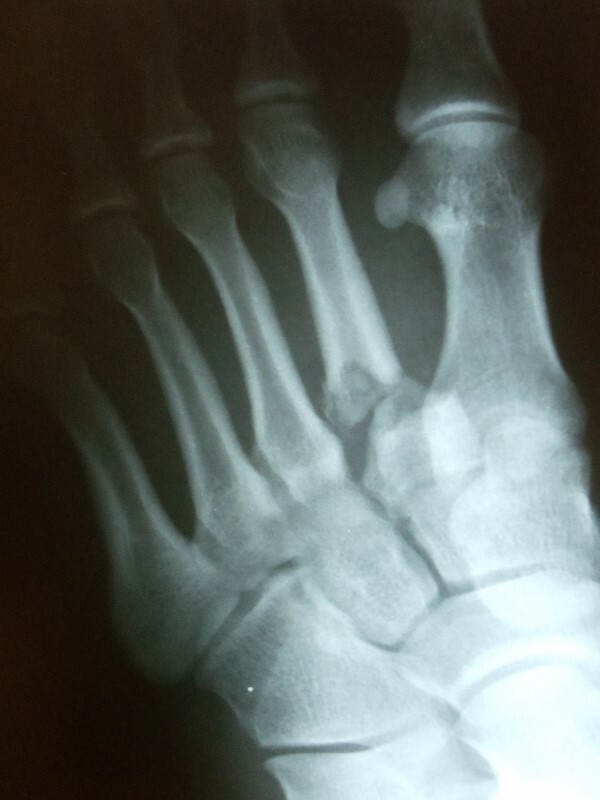 Stress to the fifth metatarsal may weaken the bone, predisposing it to more simple trauma that can break the bone in an area with poor circulation. Initial x-rays may be necessary but if the clinical exam is consistent with an injury, MRIs may be necessary to further evaluate the injury. If MRLs do show that there is bone marrow edema then this injury should be treated with a period of immobilization to allow the area to heal. Failure to address this when it is in a pre-fracture stage may predispose the athlete to further injury. 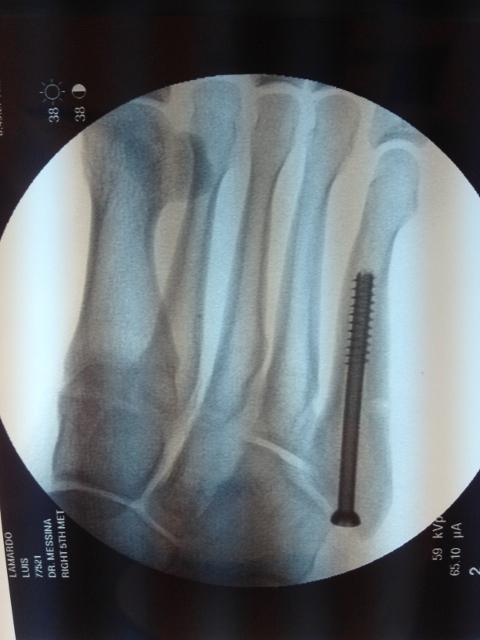 If the x-ray does show that the bone has fractured in the region with poor circulation, conservative and surgical treatment options are offered. Conservative care includes a nonweightbearing cast for eight weeks. A return to sports may be 3-4 months. 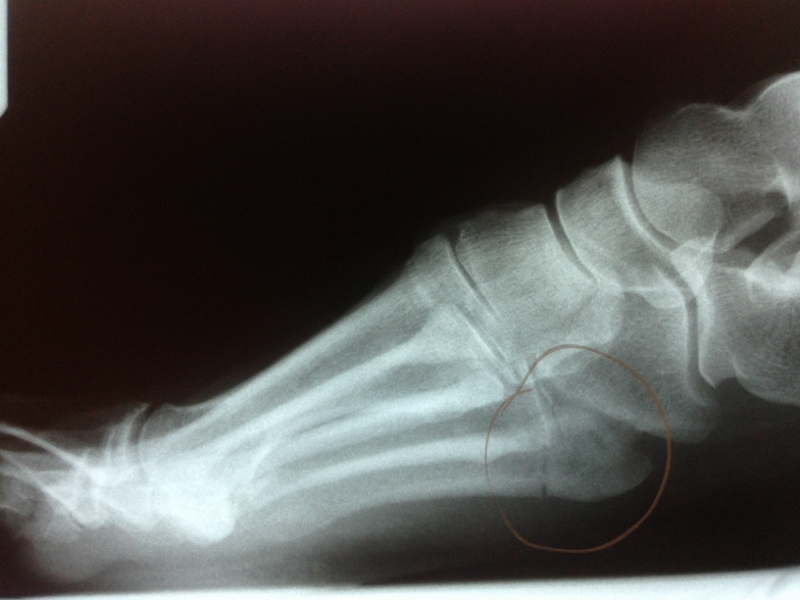 There is a high risk of refracture to this area in athletes with a high arch foot. 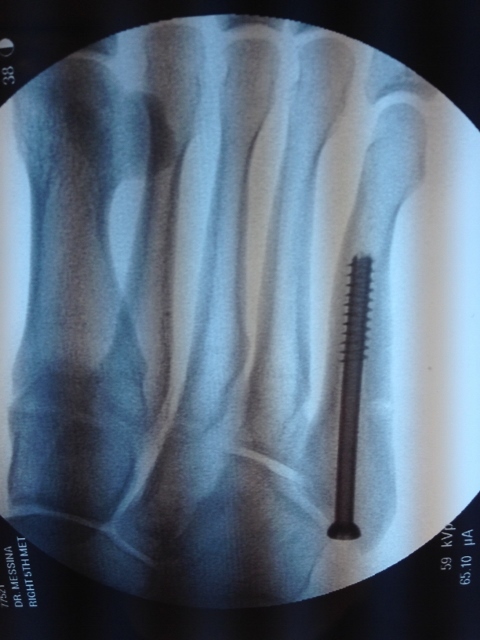 In those patients, surgical treatment may be performed initially to allow the fracture to heal more rapidly and return the athlete back to their sporting activity. This would require nonweightbearing for six weeks in a boot. 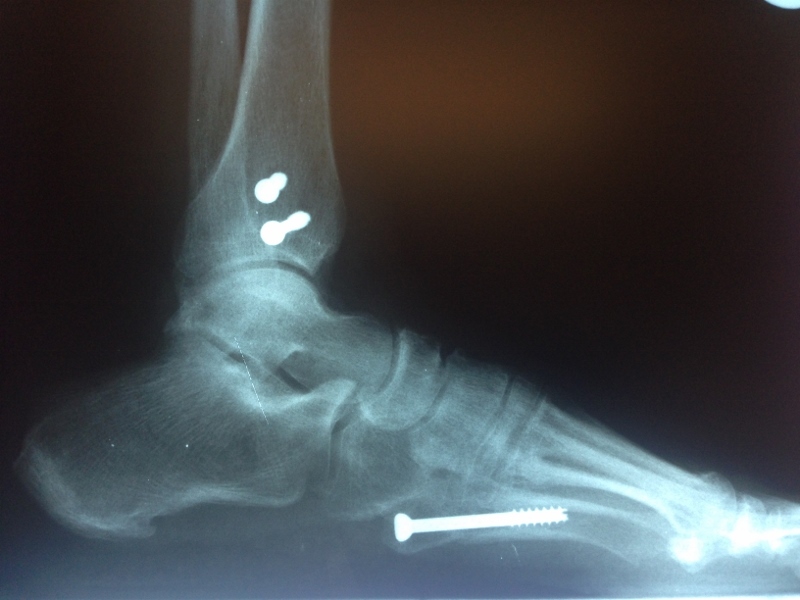 Athletes can usually return to activity following the use of screw fixation in approximately 10-12 weeks. 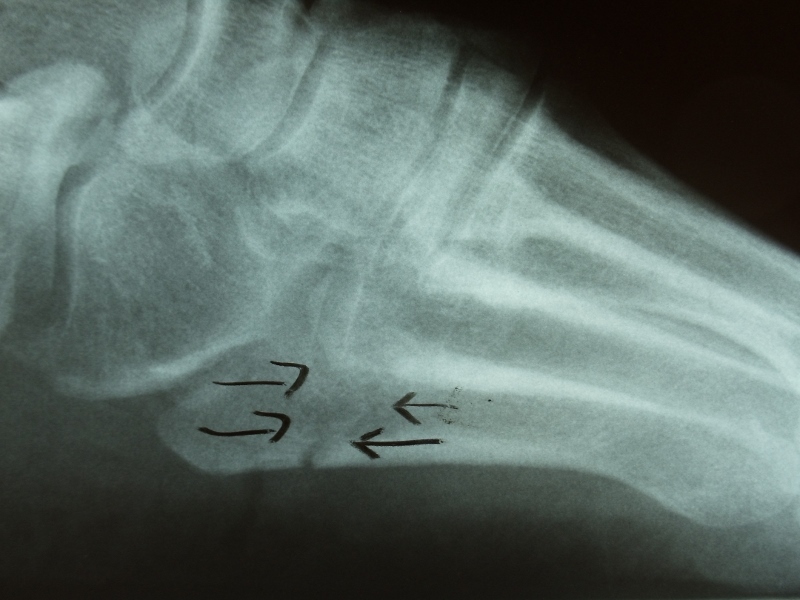 If the foot has an excessively high arched posture in which the heel bone is turned under, surgery in the rearfoot may also be necessary at the same time to get the heel bone straight and take stress off of the outside of the foot. 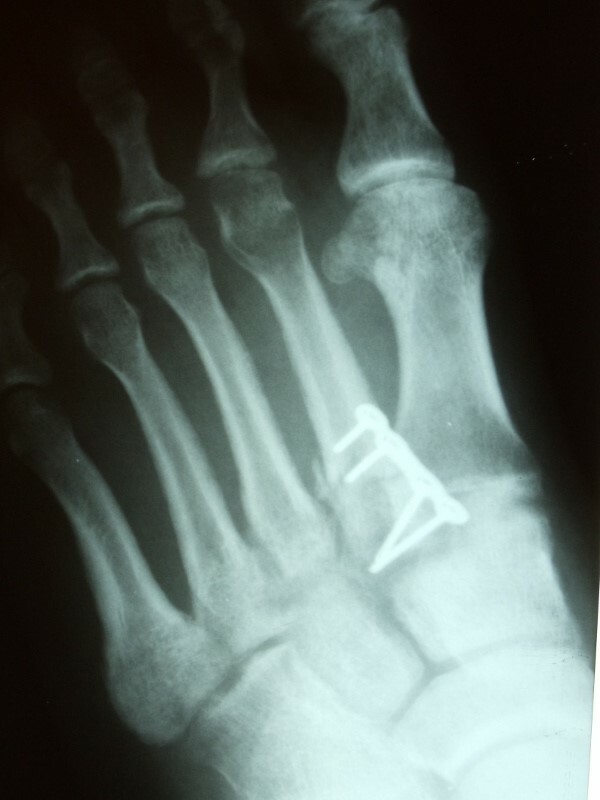 A procedure on the heel bone usually recovers more quickly than the procedure on the metatarsal. Surgery when performed is done on an outpatient basis under a twilight anesthetic. An incision approximately 1/4" is placed on the side of the foot. 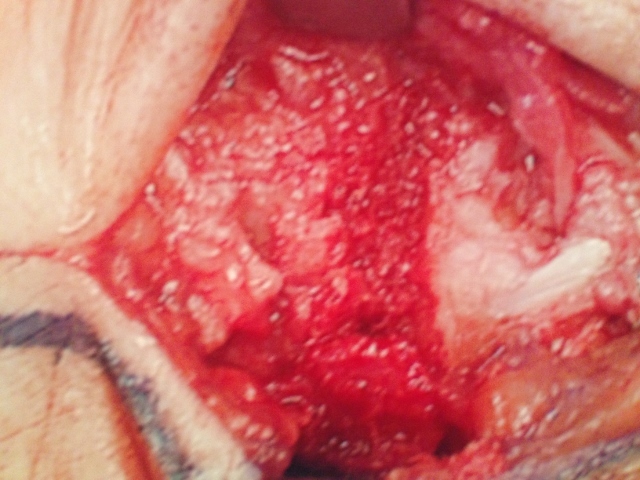 Through this incision a small pin is placed into the bone. 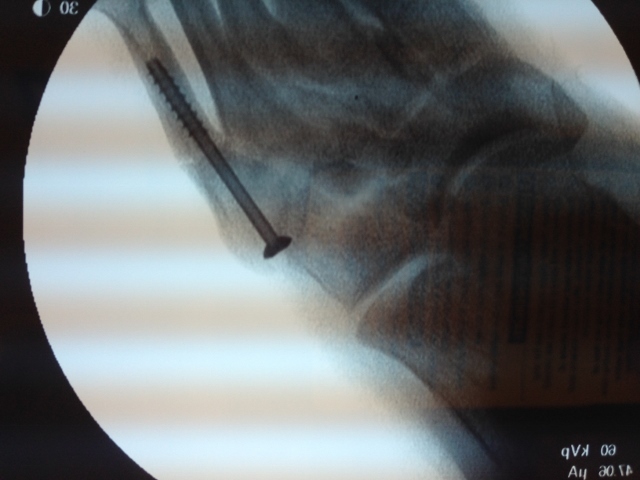 A screw is then applied over the pin to compress the fracture and allow it to heal more rapidly. The size of the screw depends on the size of the bone. We usually employ a 4.5 mm titanium screw in females. 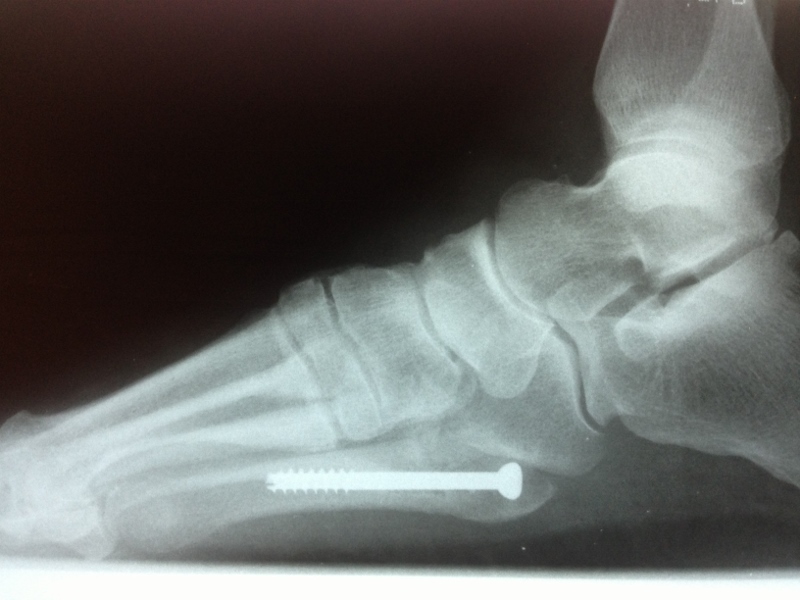 In athletic males who have a much larger bone screws that are 5.5 mm to 7.0 mm may be necessary. 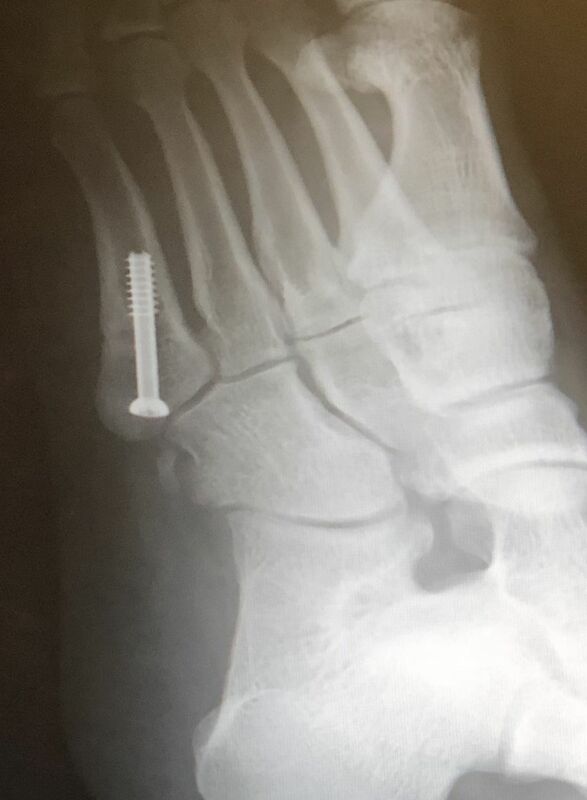 In athletes we prefer solid screws over partially threaded screws. 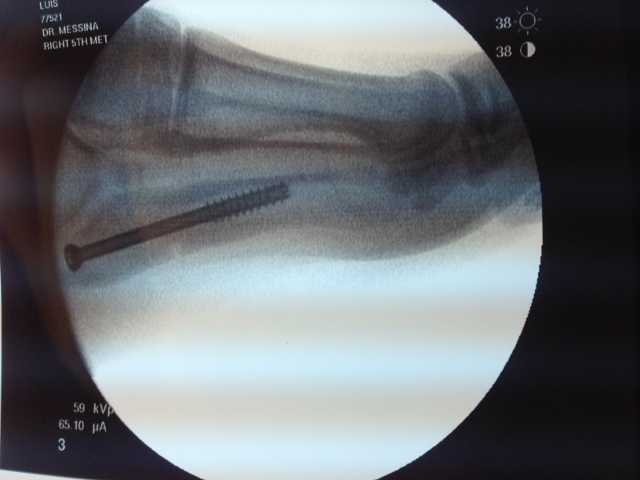 We have had great long-term success in healing patients with these fractures. Patients are typically allowed to bathe 2-4 days after the procedure, as only one stitch is used. Although they are nonweightbearing they can get into the gym very quickly and work their upper body. Leg extensions and leg curls can also be performed. We have found a period of nonweightbearing for six weeks is typically best. 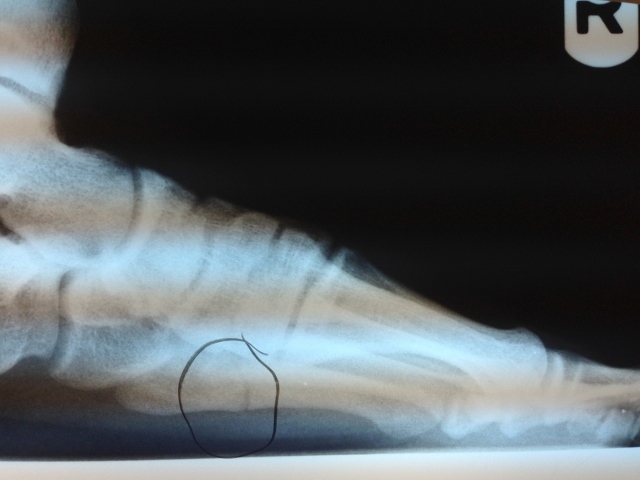 However, x-rays and clinical exams are important to assess how the patients are healing. 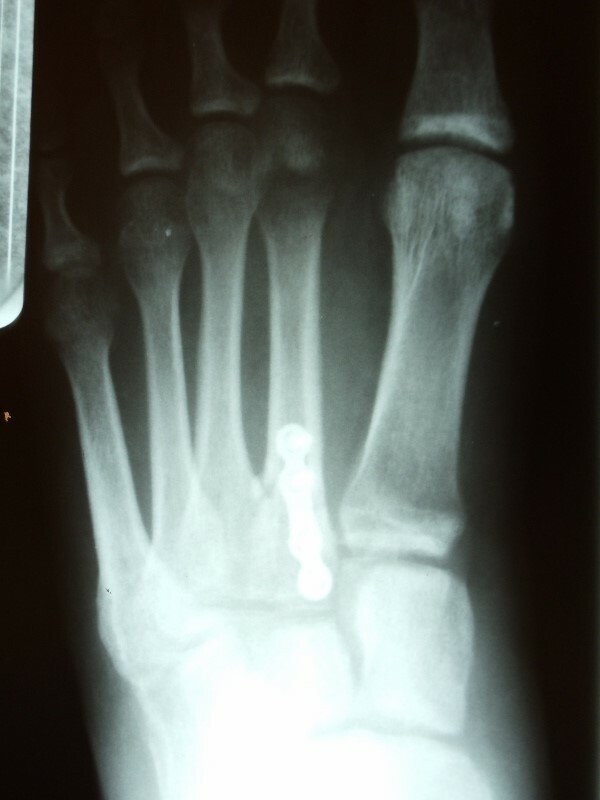 A return to walking in a boot is usually performed at week 7 or 8. If the fracture is healing as expected sneakers and an orthotic device in their shoes utilized in running can begin between 8 and 12 weeks depending on the clinical exam and x-rays. A return to active sports may take 10 or more weeks. 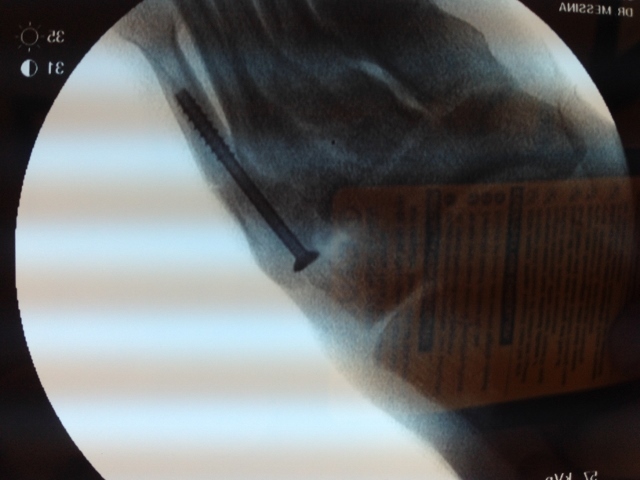 We typically do not allow athletes to return sooner fear of reinjury to the bone or fracturing the screw. 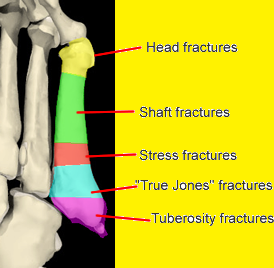 Jones fractures can often go on to delayed union. 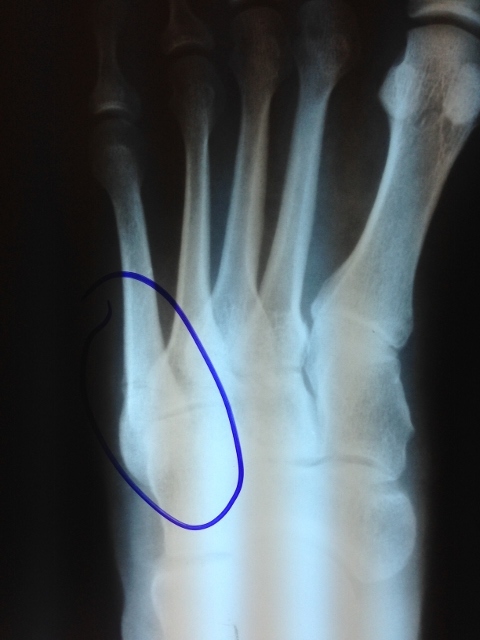 This means that the fracture is not healing in the expected time. In those cases bone stimulators may be used to help accelerate the healing process. 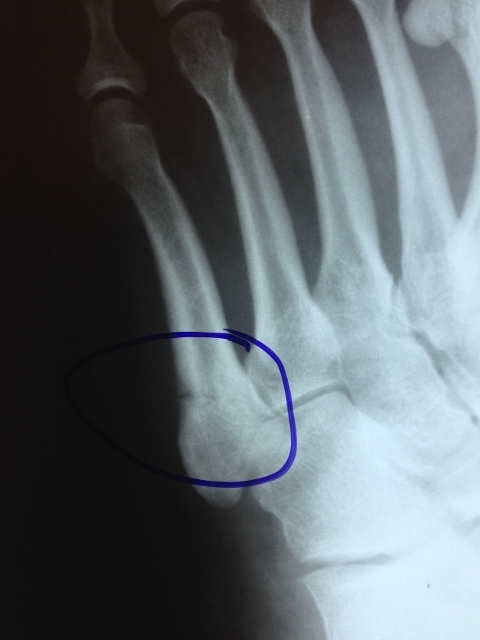 In some cases this fracture may go on to a nonunion. 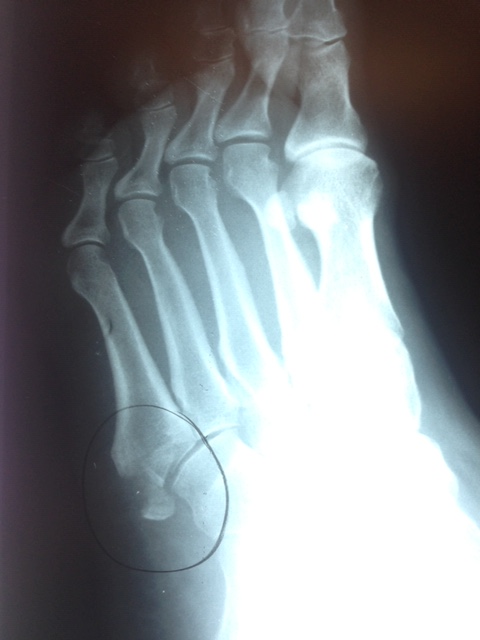 Nonunions of the fifth metatarsal can become very painful and cause a disability in a running athlete. 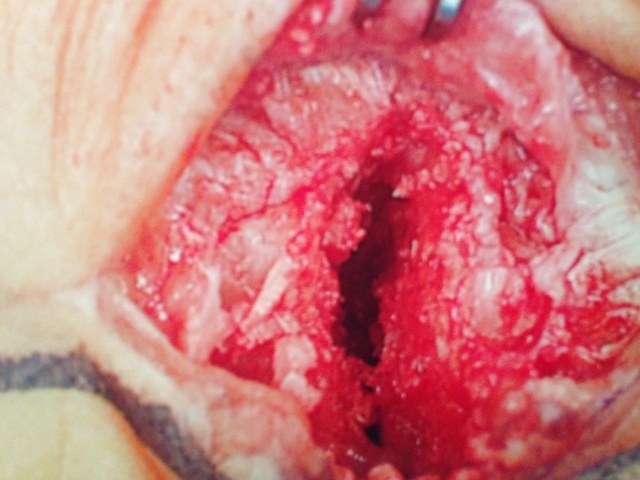 It will most often require surgery to remove the areas of the bone that are devoid of blood supply. 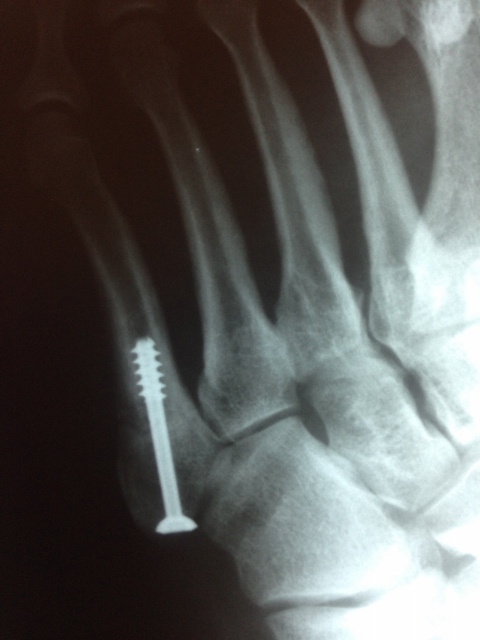 A bone graft is then applied to the fracture and a small plate or screw is utilized to stabilize the fractured area. Nonweightbearing for 8-12 weeks would be mandatory. Long-term prognosis is excellent. 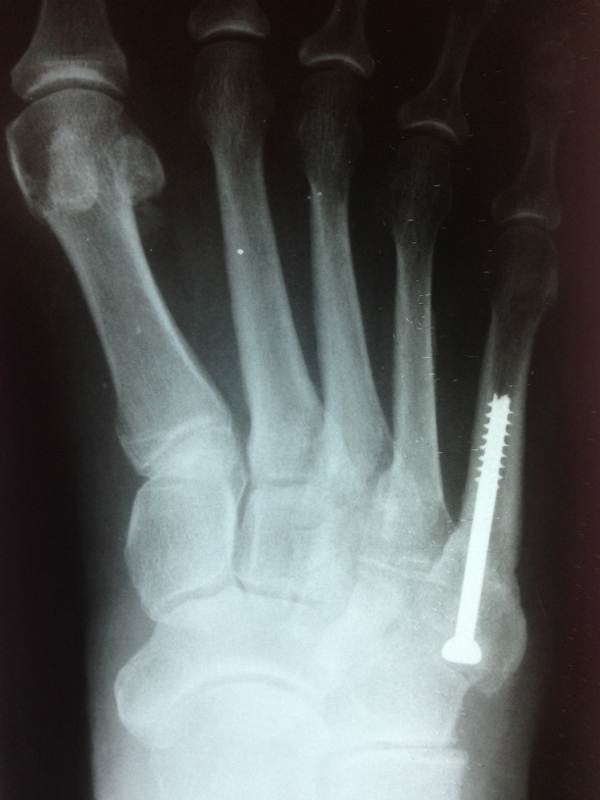 If there is a foot deformity that predisposes the patient to increased stress to the fifth metatarsal, surgery would be necessary in these other areas to unload the fifth metatarsal more permanently. 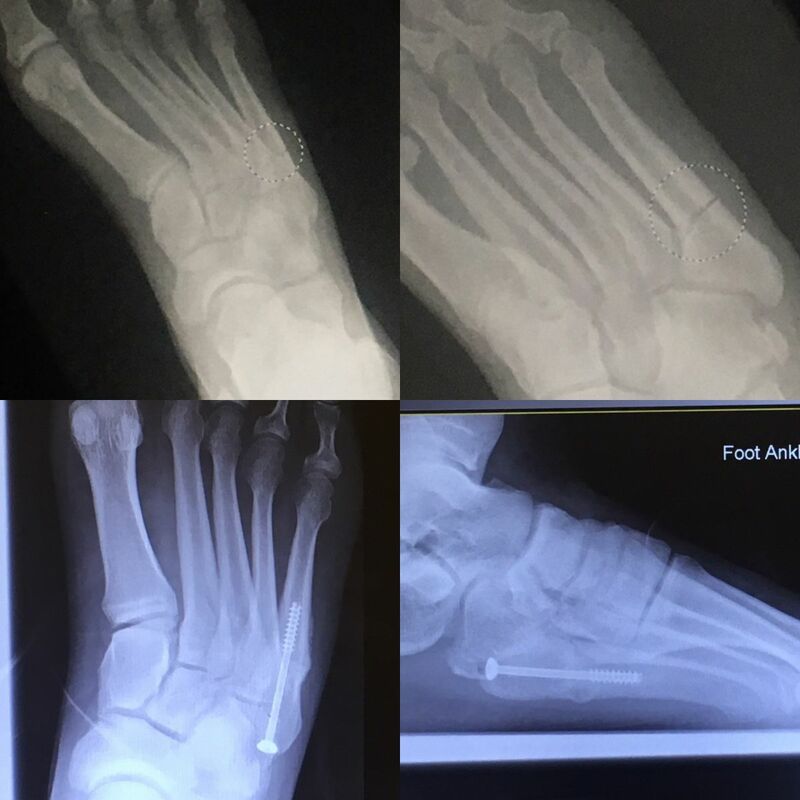 These X-rays of the foot after surgical repair of the Jones Fracture which is important to stabilize this fracture not only for adequate healing but also because of soft tissue structures such as ligament and tendon that attach to the base of the 5th metatarsal. 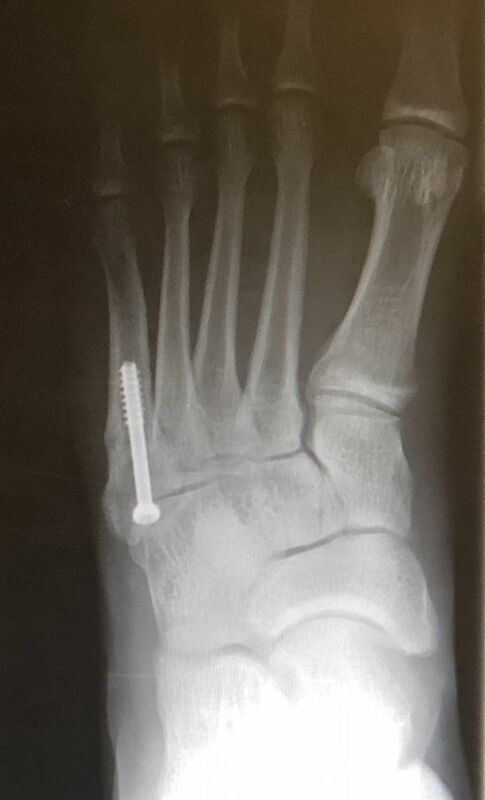 Preop and Postop X-rays of a Jones Fracture.